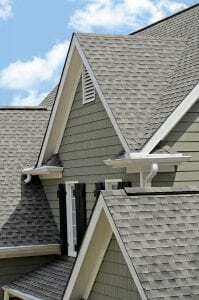 With gutter replacement services performed on your home in the Johnson City area of Tennessee by 31-W Insulation, you’ll be able to enjoy new gutters that are more effective than traditional products. That’s because we offer and install seamless gutters from Spectra Metals, one of the most trusted manufacturers in the industry. These gutter systems are made from heavy-duty aluminum alloy coil, and our factory-trained installers, who are all our own trusted employees rather than subcontractors, will carefully measure and cut them onsite to ensure a perfect seamless fit to your home. What’s more, you can rest assured that your purchase of a new replacement gutter is thoroughly protected, since our gutters come backed by a 20-year limited manufacturer’s warranty. Also, our gutters can be outfitted with the Armour Screen gutter protection system, which filters out debris to prevent clogging. To learn more about our gutter replacement services available to Johnson City, TN, homeowners, contact 31-W Insulation today.